This semester’s suture clinic will be held on Saturday, April 6th in Moos Tower. The registration link will be out to sign-up next week, but make sure that you mark this date in your calendar if you are interesting in attending! AMSA officially has a team for Relay!!! This semester we will be hosting a 5K for the Masonic Cancer Center at the University of Minnesota on Sunday, April 28th at 2pm! It will cost $15 for University of Minnesota students/ faculty and $20 for community members. 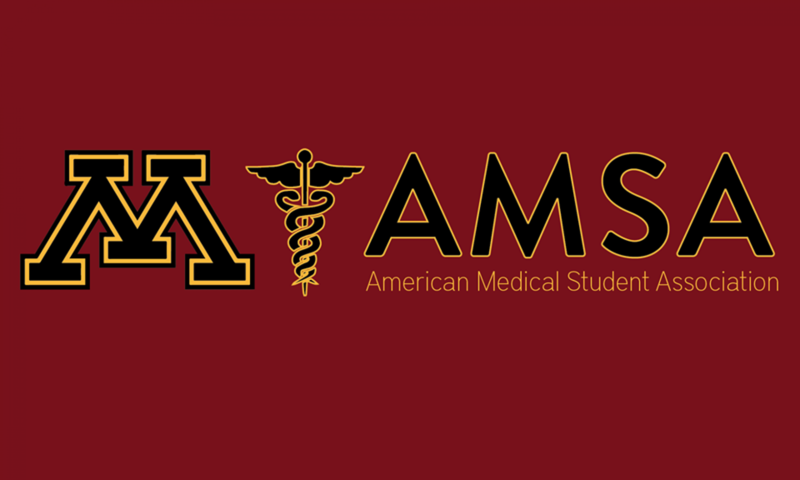 You can pay in cash or check (made out to Pre-Med AMSA) at meetings and the day of the event. You can also venmo “Ashish-Varma” with “Run for Research 5k” in the memo line. We will be hosting a blood drive April 29th from 10am-4pm at the Presidents Room in Coffman. Please, please consider signing up to donate! You can save up to three lives with just one donation, get free snacks, and can take a little break from studying. To sign up, you can visit the Red Cross website or email Regan at bradl393@umn.edu.